Do You Need a Lawyer to Send a Cease and Desist Letter? A cease and desist letter is a legal notice sent to someone you believe is infringing on copyrights you own the rights to. The letter is your way of stopping them. Sometimes cease and desist letters contain additional instructions, or demands, such as a demand for compensation—referred to as a settlement demand letter—or a formal request for proper attribution to correct the violation. It is important to note that just because you make a demand, your letter does not establish that you have a right to compensation or even that your claim to have exclusive rights to something is valid. Those are legal issues that may need to be settled in court—specifically in a civil lawsuit if you can't work it out on your own with the business or individual that's infringing upon your rights. Do I Have to Send a Letter, or Can I Just Sue Them? You do not have to send a cease and desist letter prior to filing a civil claim against someone. However, if you are planning to sue someone on your own, doing so without first consulting with an attorney is not a sound option because you lack the legal know-how. If your claim is small, chances are you can work things out without going to court. 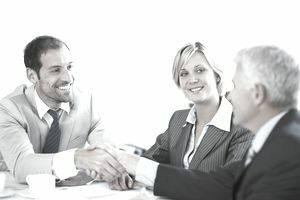 That recourse allows both parties to settle a dispute without bearing the expenses of lawyers and court fees. If you do go straight to court, make sure you are prepared to explain why you didn't choose to try and work things out with a cease and desist letter. If a defendant can show they were unaware they were violating copyright laws, you may be awarded less in damages. However, if you can show that you notified the defendant with a cease and desist letter and they continued to violate copyrights laws, your damages award could increase if you win the lawsuit. Can I Write a Cease and Desist Letter, or Must I Hire an Attorney? The short answer is no, you do not need to hire an attorney. Anyone (whether the complaint is well-founded or not) can send out a cease and desist letter. However, there are reasons why you may want an attorney who specializes in copyright laws at least review your letter before sending it out. Civil claims can be complicated, expensive, and drawn-out (often taking years to be resolved). Even if you get a verdict in your favor, the defendant may file an appeal and further extend the legal process. If you have a good copyright infringement case, an attorney will most likely handle your case free of charge—meaning, they will take it on a contingency fee basis. In that case, you only pay the attorney if she wins a verdict or obtains a settlement for you. An attorney can also advise you if your rights have, in reality, been violated and if so, if you have enough grounds for legal action. Also, an attorney can tell you if a cease and desist letter is the appropriate course of action, and can even write the letter for you. In almost all cases involving consumers, a letter from an attorney will be taken more seriously than a letter from an individual.